My time spent in California opened my eyes to many things. One was a change at not only what was important – job, money, praise to relationships, giving, empathy – but also an opportunity. This blog came as a result of my time in California. So are these cookies. See the church we attended had a homeless ministry. I never much thought about how or why people were homeless but instead looked at as choices, mainly bad ones, put people in that position. One of the parts of the ministry was Friday morning showers at the church. We collected clothes and toiletries and provided a hot shower, warm place to sit and enjoy a hot breakfast and chat. 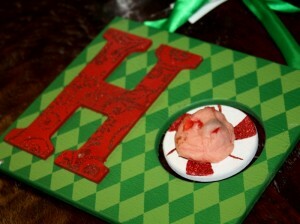 Usually it was just an egg casserole or pancakes but I wanted to do something special for Christmas. 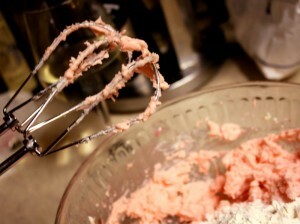 One of my fondest memories from growing up is all the cookie baking my grandma, mom, sister and I did. We would make everything from sugar cookies to chocolate pretzels to lebkuegen. So I began right around Christmas asking all the regulars what their favorite Christmas cookies were in order to provide a little bit of joy and perhaps common ground to talk. 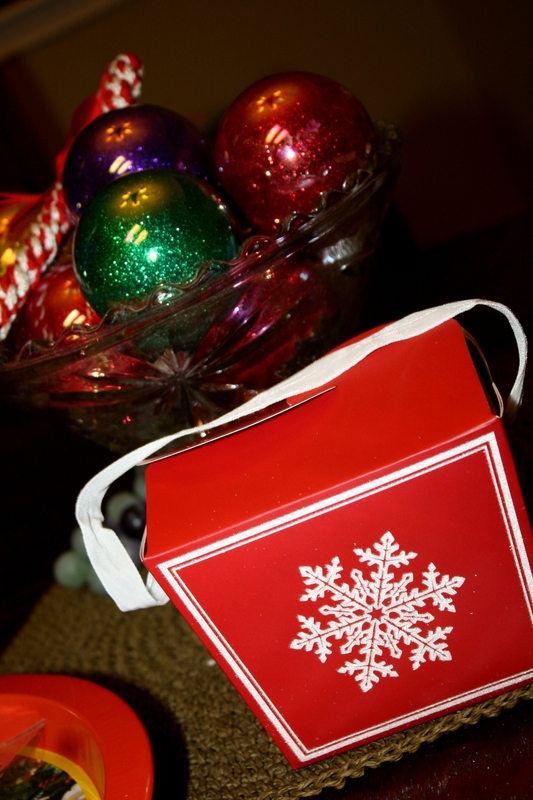 By the time the baking week had arrived, there were 13 different requests including snicker-doodles, oatmeal, candy canes and cherry chip cookies. I had never heard of a cherry chip cookie and couldn’t find anything like what he talking about on the internet: soft and pink with cherry pieces and chocolate chips. I racked my brain trying to come up with a way to make this for him, recreate a piece of his childhood. 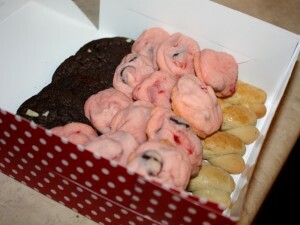 At a loss, I made a variation of my cake box cookies. He loved them but I wasn’t satisfied with the results. This fall I was talking with my mom about cookies and mentioned these elusive cookies. 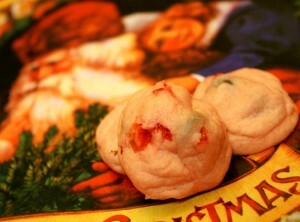 Funny enough my mom remembered these cookies from her youth as well. She thinks they were from a Better Homes and Garden cookbook so I searched their website high and low. 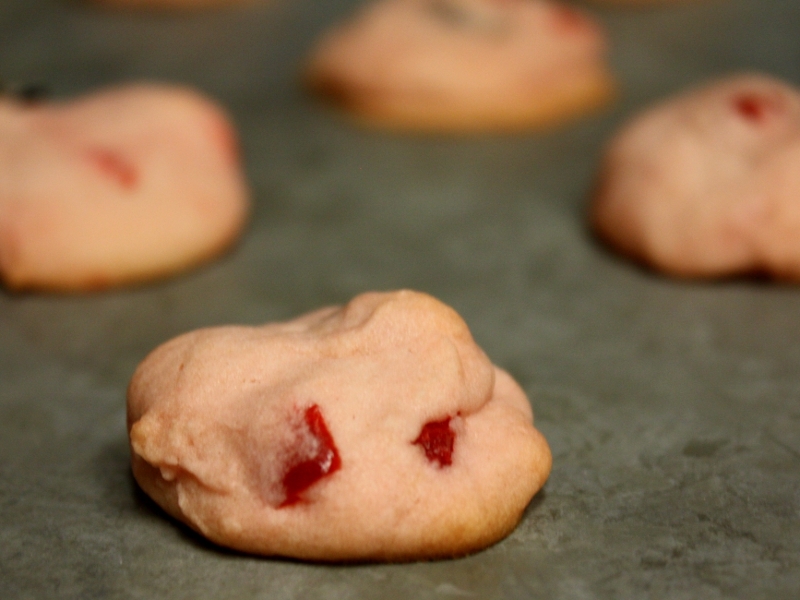 Googled 60’s cherry chip cookies but all had cocoa so I checked 70’s and they all looked like short bread. 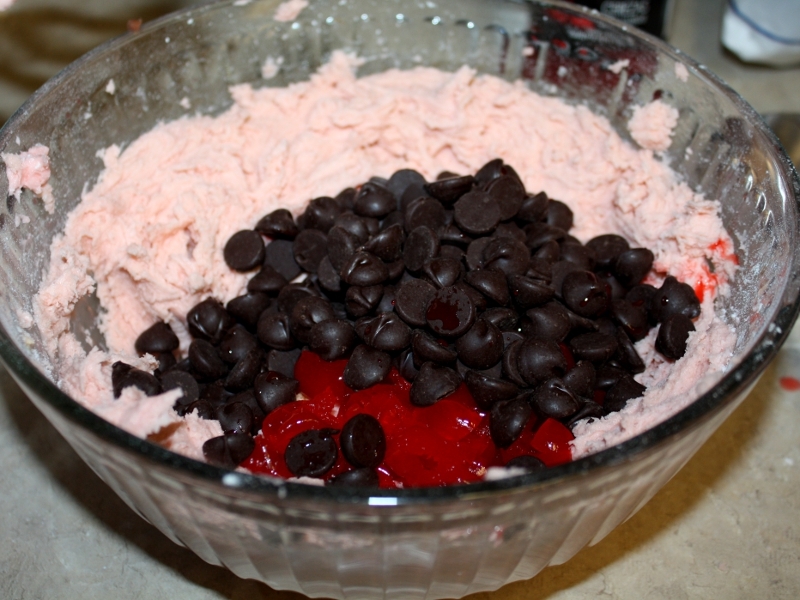 While I like shortbread cookies, it was not what I was looking for…Finally I found a recipe for a cherry tea cake and decided to make a few modifications. They turned out perfect! Light, delicate, cherry and dark chocolate. 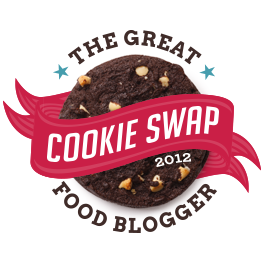 I decided to do the Food Blogger Cookie Swap this year and decided these would be perfect. I hope everyone enjoyed, I know I did. You never know why things happen when you’re in the moment but looking backwards those times are often the best lessons. Something intended to be a gift to others left a huge impression on me. I will never forget the stories and gifts of unconditional acceptance and love shown in a time when I really needed it. So enjoy the cookies and enjoy the ride where ever life takes you! With a handmixer, beat butter, sugar, vanilla and cherry juice on medium until well mixed about 2 minutes. Slowly add fluor and salt until stiff then switch to a wooden spoon. 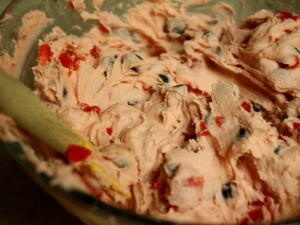 Add cherries and chocolate chips and stir until a dough forms. If too soft, add additional flour 2 tbsp. at a time. Roll into a ball and placed on ungreased cookie sheet. Bake for 8 – 10 minutes. 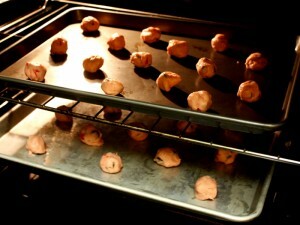 Leave on cookie sheet to set and cool. Enjoy! 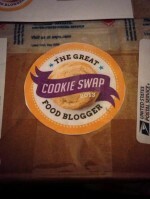 Hope everyone at the Food Blogger Cookie Swap enjoyed their packages!